We invite you to enjoy the Hotel - Penzion Integrity. 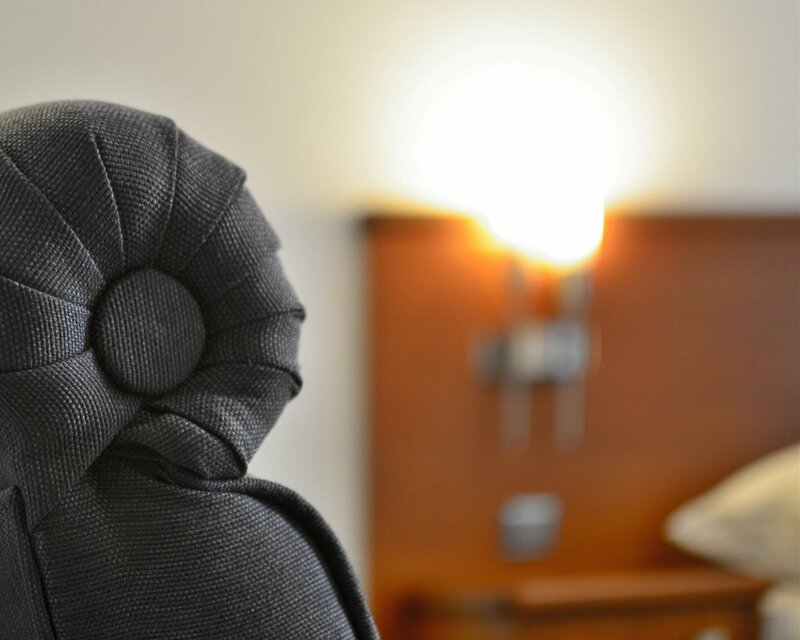 We offer stylish accommodations in new luxuriously furnished rooms. The Penzion - bed and breakfast hotel - provides a pleasant and welcoming place to stay during your business or recreational trips, or for any other occasion. The Penzion is located in the center of Brno, in the immediate vicinity of the BVV Trade Fairs Brno, in an attractive and peaceful area surrounded by turn of the 20th century villas. Each room has a private bathroom, a mini bar and TV. Most of our rooms are brand new with top quality furnishing and amenities. Professional designers have created rooms for your greatest comfort. Eight of the rooms are air-conditioned. Free WiFi is available everywhere in the Penzion. A daily breakfast buffet available for a small additional fee is served in a newly reconstructed historical cellar. The pleasant atmosphere of the penzion is enhanced by the paintings of the well-known Polish painter Stefania Shaded. Guests can freely use the outdoor patio, which provides a pleasant place to relax, especially in the warm summer months. In the immediate vicinity of the Penzion you will find several restaurants. Parking is available across the street right in front of the Penzion. The location of the Penzion make it suitable for a wide range of guests. Guests who come to Brno for business will appreciate the quiet surroundings of the Penzion and the easy access it provides to various parts of Brno, especially to the business centers in the southern part of the city, including the BVV Trade Fairs Brno which is located right across the street from the Penzion. Guests will find that they can easily connect to all points in Brno, whether they travel by tram, trolleybus, bus or car. The Penzion is a popular place to stay for clients of the Reprofit clinic, which is located next door to the Pension and Reprogenesis clinic. It is also a favorite place to stay for members of academic or commercial delegations heading to the research and business park The Campus, which is just a 5 minute drive from the Penzion. The larger areas around the Penzion offer many attractions designed for families with children. These include, for example, an outdoor swimming pool, Riviéra; a high-rope center Jungle park; and a scientific amusement park, Vida. We gladly offer discounts for stays of 15 days or more. The Hotel - Penzion offers conference and event halls for conferences, weddings and other festive and social occasions, and for various business and sales events at the time of fairs at the BVV Trade Fairs Brno. Unfortunately, the Penzion is not suitable for pets. The premises of the Penzion are non-smoking. Your stay at the Penzion can be enriched by visiting some interesting sights in the immediate surroundings. In the summer, you can spend a refreshing time in an outdoor swimming pool Riviéra, one of the largest natural swimming pools in the Czech Republic. You can also visit the Spilberk castle. Lovers of architecture will surely go and see the gem of Brno functionalism – the Stiassny villa which is “right around the corner.” Cyclists can get on their bikes right in front of the Pension and ride on a cycling lane straight to the Zoo or to Vienna.